Evaluation of the overall stability of the anterior cruciate ligament (ACL)-deficient knee can be difficult because of the multitude of additional anatomical structures that can be injured. With the improvement of overall knowledge of the knee-stabilizing structures, it is clear that many lesions are not isolated and occur within a potentially complex context of instability. 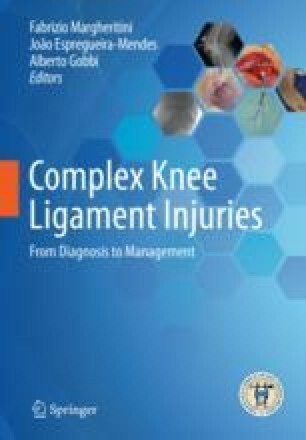 Consequently, the concept of multiligament injury has evolved in recent years due to many anatomical and biomechanical studies which enhance the understanding of injury mechanisms and validate reconstruction techniques. Among those complex ligamentous injuries, the most common association is ACL and posterolateral corner (PLC).